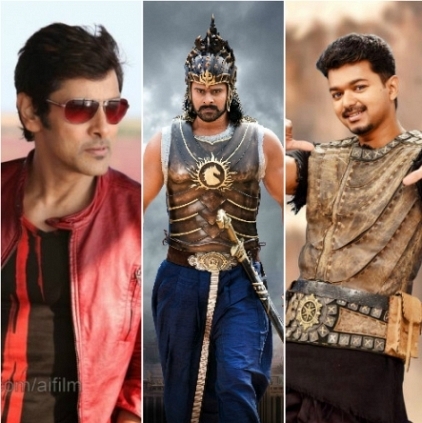 Baahubali and Puli are among the trending movies in 2015. Google Trends has announced its yearend Top Indian searches list. Actress Sunny Leone happens to be the Most Searched Personality of 2015, according to Google India's report. Apart from former Indian President APJ Abdul Kalam and PM Narendra Modi, all the personalities who feature in the Top 10 list of the most Googled people, are from the film fraternity. The list featured Kajal Aggarwal in the 8th spot. Coming to the most trending Indian movies list, Google India says that Baahubali is the undisputed Number 1. The list featured two other Tamil films - Shankar’s I is at the 5th spot and Vijay’s Puli is at 7th. Baahubali 2 Starts To Roll From 17th December. Puli Has Grossed 71 Crores Worldwide In Its First Week At Box-office. People looking for online information on Baahubali, Google Trends, I, Puli will find this news story useful.